Vijaya Dashami is the tenth and the last day of the ten day long Dassera or Dussehra festival. Vijaya Dashami is celebrated on Ashweyuja sukla Paksha Dashami or the tenth day of the waxing phase of the moon of the month of Aswayuja Month as per the Lunar calendar. This year Vijaya Dashami is celebrated on Saturday, 28th September 2047 . 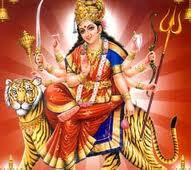 Vijaya Dashami as the name suggest is a mark of victory , vijaya means victory and Dashami is the tenth day. This day is known as Vijaya Dashami because it is on Vijaya Dashami that Rama Killed Ravana. The Pandavas finished their one year of spending in Agnat Vas or spending without being identified as Pandavas by any one. The common ritual is to visit a Semi Vruksha or Banni or Vanni tree and pray to it. The scientific name being Prosopis cineraria. It is believed that Pandavas before entering their Agnat vaas hid their weapons on the Semi tree and they took back their weapons on Vijaya Dashami. Hence on Vijaya Dashami it is also a custom to worship vehicles, instruments, machines etc. Every instrument or machine of the factory is worshipped and kept idle for the day. Vijaya Dashami is the day which guarantees success in any venture that is taken up. Hence lot of people would start any new business or venture on Vijaya Dashami. Vijaya Dashami is one of the biggest festivals that is celebrated in India and it is a national holiday on Vijaya Dashami.